Purbeck Footprints examined the history of the stone industry in Purbeck, exploring the stone and cliff stone heritage through a series of writing workshops, walks and schools work dedicated to the subject. The Purbeck Footprints project brought twelve writers together for a series of workshops led by local writer Paul Hyland. 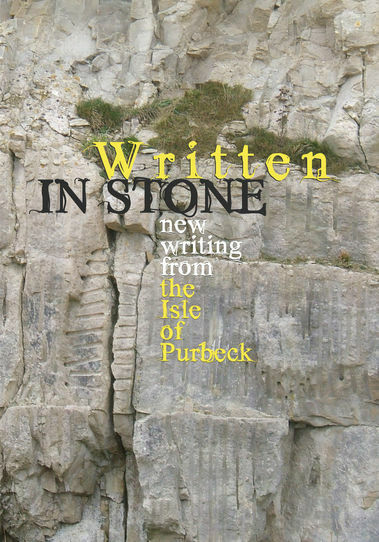 Writing out of passion for the place and from experience of what lies beneath Purbeck’s skin, these twelve writers' rich and diverse new writings were published in an anthology, entitled 'Written in Stone', which is still available from the Artsreach office. Three leaflets of short walks were also published, written by Paul Hyland and exploring the fascinating and stunning areas of Purbeck, with a particular emphasis on the story of the stone industry. These leaflets around Dancing Ledge, St Aldhelm’s Head and Acton, were available from Tourist Information Centres in Purbeck and can be downloaded below. Copies are also available from the Artsreach office. An educational resource pack for schools in Purbeck was also published, following a series of creative writing workshops led again by writer Paul Hyland in several Purbeck schools. This resource pack, titled 'Writing on Stone', aimed to allow teachers to continue creative writing sessions with their students, giving activities and information about the geology and history of Purbeck's quarrying industry. The pack was distributed to schools in the Purbeck area in 2009.